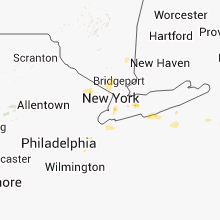 The Salisbury, NY area has had 0 reports of on-the-ground hail by trained spotters, and has been under severe weather warnings 14 times during the past 12 months. Doppler radar has detected hail at or near Salisbury, NY on 8 occasions. 8/11/2018 8:53 AM EDT A severe thunderstorm warning remains in effect until 915 am edt for south central westchester. queens. bronx and northern nassau counties. At 851 am edt, a severe thunderstorm was located along a line from northern nassau county into southern westchester county, moving northeast at 20 mph. 8/11/2018 8:23 AM EDT At 823 am edt, a severe thunderstorm was located over astoria, or over rfk bridge, moving northeast at 20 mph (radar indicated). Hazards include 60 mph wind gusts. Expect damage to trees and power lines. this severe thunderstorm will be near, east tremont and riverdale around 835 am edt. throgs neck bridge and bayside around 840 am edt. 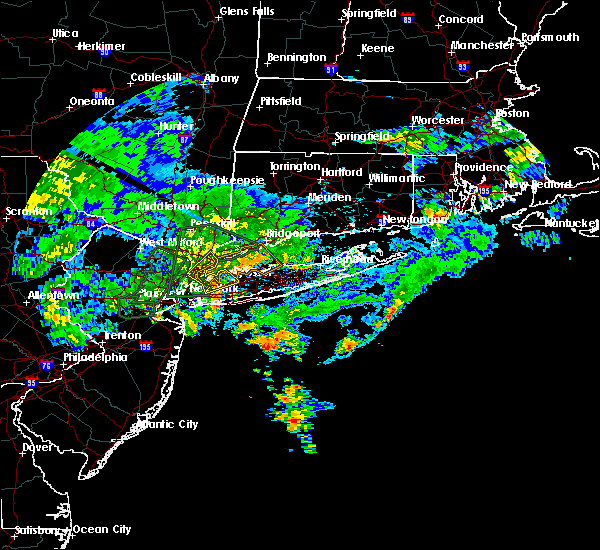 great neck and city island around 845 am edt. new rochelle and manhasset around 850 am edt. port washington and sands point around 855 am edt. scarsdale around 900 am edt. glen cove and rye around 905 am edt. Port chester and oyster bay around 915 am edt. 8/2/2018 10:32 PM EDT At 1032 pm edt, a severe thunderstorm capable of producing a tornado was located over sands point, or near great neck, moving east at 20 mph (radar indicated rotation). Hazards include tornado. Flying debris will be dangerous to those caught without shelter. mobile homes will be damaged or destroyed. damage to roofs, windows, and vehicles will occur. tree damage is likely. this dangerous storm will be near, manhasset and sands point around 1035 pm edt. port washington around 1040 pm edt. Glen cove and oyster bay around 1045 pm edt. 8/2/2018 10:18 PM EDT At 1018 pm edt, a severe thunderstorm capable of producing a tornado was located over whitestone, or over flushing, moving east at 20 mph (radar indicated rotation). Hazards include tornado. Flying debris will be dangerous to those caught without shelter. mobile homes will be damaged or destroyed. damage to roofs, windows, and vehicles will occur. tree damage is likely. this dangerous storm will be near, bayside around 1025 pm edt. great neck and city island around 1030 pm edt. garden city and port washington around 1040 pm edt. Glen cove and mineola around 1045 pm edt. 5/15/2018 6:11 PM EDT The severe thunderstorm warning for new london, southeastern new haven, middlesex, queens, suffolk, kings and nassau counties will expire at 615 pm edt, the storms which prompted the warning have weakened below severe limits, and no longer pose an immediate threat to life or property. therefore, the warning will be allowed to expire. however small hail and gusty winds are still possible with these thunderstorms across far eastern new london county in connecticut, and across the south shore and east end of long island. 5/15/2018 5:28 PM EDT At 527 pm edt, severe thunderstorms were located along a line extending from near colchester to near guilford to port jefferson to sheepshead bay, moving east at 60 mph (radar indicated). Hazards include 60 mph wind gusts. Expect damage to trees and power lines. severe thunderstorms will be near, colchester and middle island around 535 pm edt. 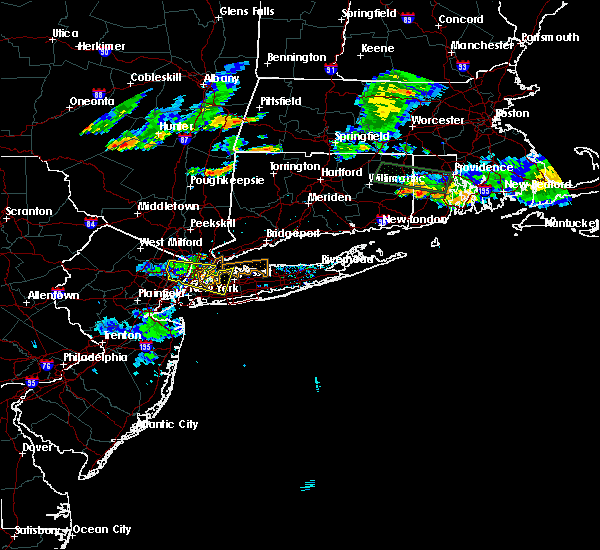 manorville and wading river around 540 pm edt. jewett city and freeport around 545 pm edt. massapequa and mattituck around 550 pm edt. fishers island and shinnecock hills around 555 pm edt. 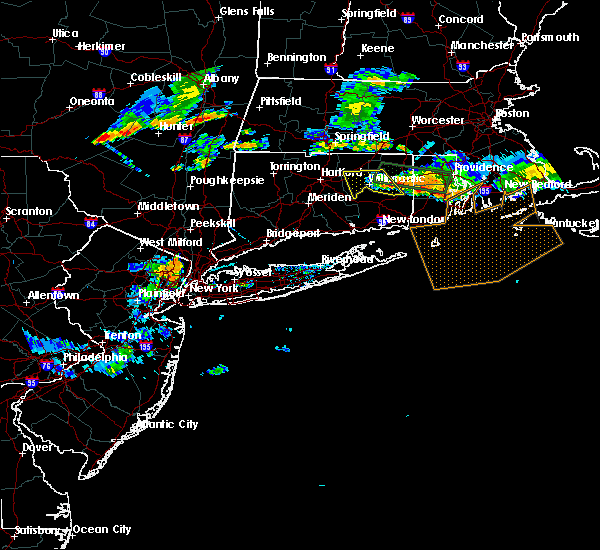 southampton and bridgehampton around 600 pm edt. East hampton around 605 pm edt. 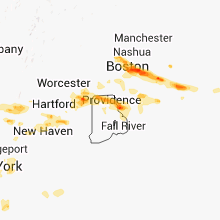 5/15/2018 5:19 PM EDT At 516 pm edt, severe thunderstorms were located along a line extending from near tolland to plainville to near hamden to stamford to kearny to near white house station, moving east at 50 mph (trained weather spotters and automated surface observations, with numerous reports of wind damage). Hazards include 70 mph wind gusts and nickel size hail. Expect considerable tree damage. damage is likely to mobile homes, roofs, and outbuildings. Locations impacted include, newark, jersey city, jamaica, yonkers, paterson, bridgeport, new haven, elizabeth, stamford, flatbush, waterbury, norwalk, danbury, new rochelle and flushing. 5/15/2018 4:51 PM EDT At 448 pm edt, severe thunderstorms were located along a line extending from near windsor locks to sherman to danbury to near pomona to boonton to near bloomsbury, moving east at 45 mph (mesonet observations and trained weather spotters. the new york state mesonet site at beacon reported winds of 78 mph at 420 pm). Hazards include 70 mph wind gusts and quarter size hail. Minor hail damage to vehicles is possible. expect considerable tree damage. Wind damage is also likely to mobile homes, roofs, and outbuildings. 7/11/2017 5:38 PM EDT At 537 pm edt, a severe thunderstorm was located over brookville, mineola and near westbury, moving east at 40 mph (radar indicated). Hazards include 60 mph wind gusts and quarter size hail. Hail damage to vehicles is expected. expect wind damage to roofs, siding, and trees. 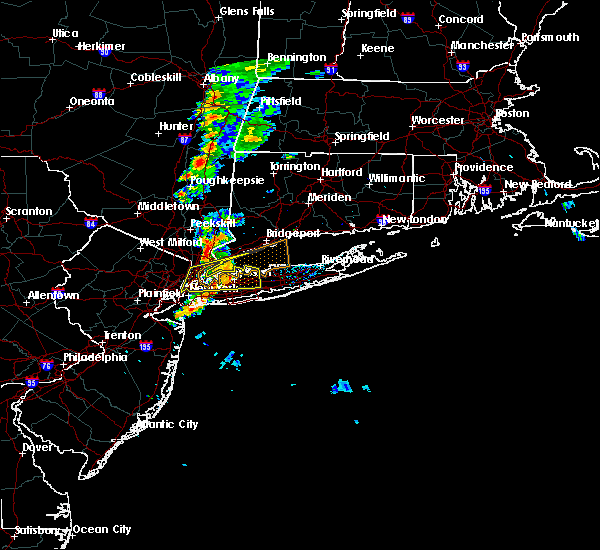 This severe thunderstorm will remain over mainly rural areas of queens, bronx, western suffolk and nassau counties. 7/11/2017 5:20 PM EDT At 520 pm edt, a severe thunderstorm was located over whitestone, or over flushing, moving east at 40 mph (radar indicated). Hazards include 60 mph wind gusts and quarter size hail. Hail damage to vehicles is expected. expect wind damage to roofs, siding, and trees. this severe thunderstorm will be near, little neck around 525 pm edt. great neck and elmont around 530 pm edt. 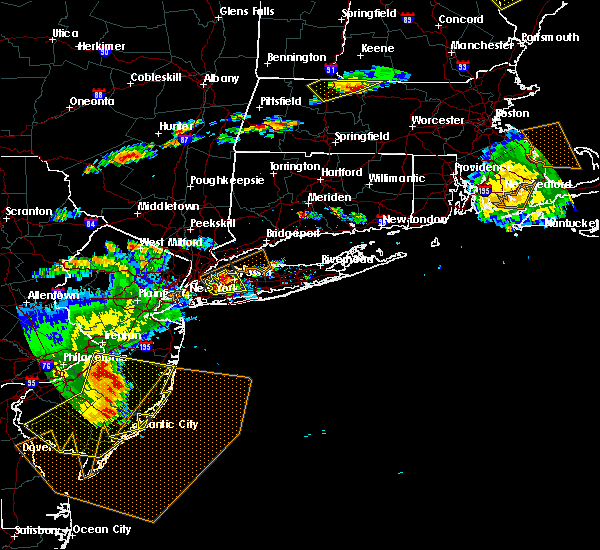 glen cove and garden city around 535 pm edt. westbury and brookville around 540 pm edt. Levittown and huntington station around 545 pm edt. 5/14/2017 4:54 PM EDT At 454 pm edt, severe thunderstorms were located along a line extending from riverdale to union city to near union, moving southeast at 45 mph (radar indicated). Hazards include 60 mph wind gusts. Expect damage to roofs, siding, and trees. 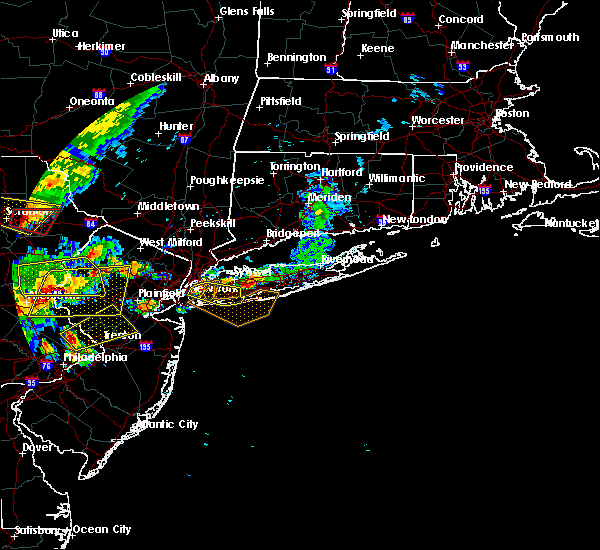 severe thunderstorms will be near, new rochelle and east tremont around 500 pm edt. flatbush and flushing around 505 pm edt. jamaica and great neck around 510 pm edt. 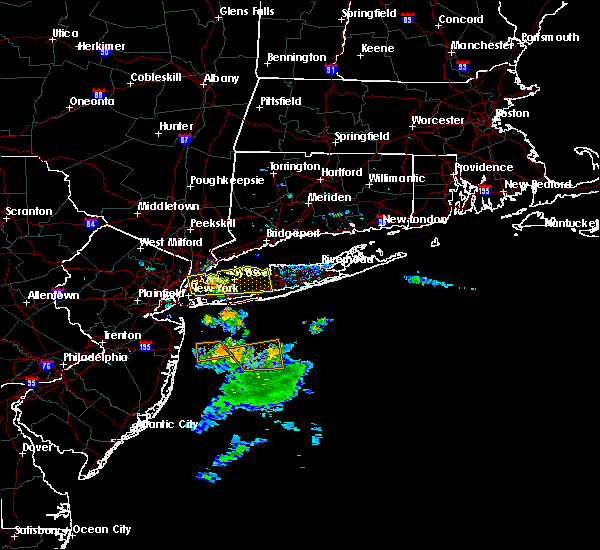 coney island and garden city around 515 pm edt. valley stream and long beach around 520 pm edt. levittown and freeport around 525 pm edt. Massapequa around 530 pm edt. 8/12/2016 7:30 PM EDT At 728 pm edt, a severe thunderstorm was located over glen cove, moving east at 30 mph (trained weather spotters). Hazards include 60 mph wind gusts. Expect damage to roofs. siding. and trees. This severe thunderstorm will impact thomaston, glen head, east hills, roslyn heights, locust valley, lake success, plandome, east williston, upper brookville and roslyn. 8/12/2016 7:25 PM EDT At 723 pm edt, a severe thunderstorm was located over glen cove, moving east at 30 mph (spotter and radar indicated). Hazards include 60 mph wind gusts. Expect damage to roofs. siding. and trees. this severe thunderstorm will be near, bayville and brookville around 730 pm edt. oyster bay, syosset and hicksville around 735 pm edt. plainview and woodbury around 740 pm edt. 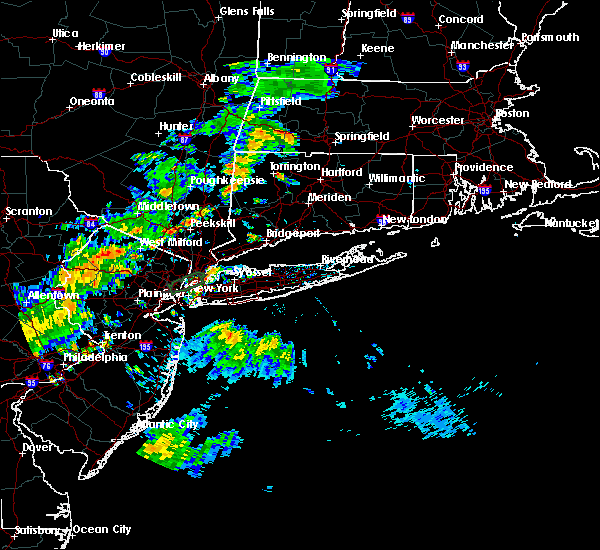 huntington, cold spring harbor and melville around 745 pm edt. centerport around 750 pm edt. northport and dix hills around 755 pm edt. 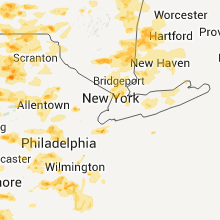 commack and brentwood around 800 pm edt. Hauppauge and smithtown around 805 pm edt. 8/12/2016 6:57 PM EDT At 655 pm edt, a severe thunderstorm was located over hackensack, moving east at 25 mph (trained weather spotters). Hazards include 60 mph wind gusts. Expect damage to roofs. siding. and trees. 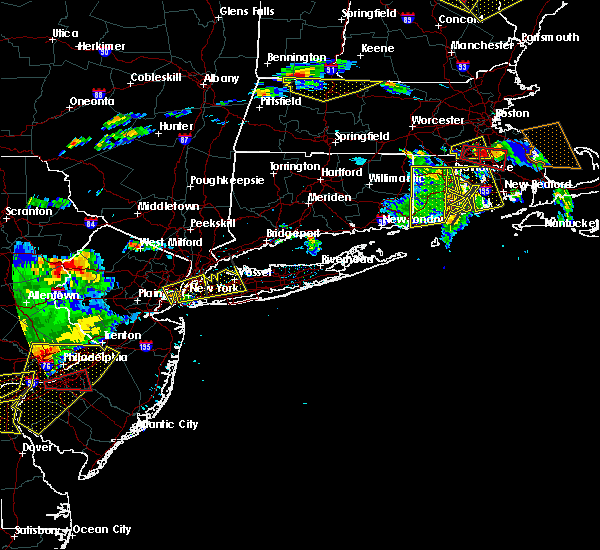 this severe thunderstorm will be near, bergenfield and ridgefield around 700 pm edt. fort lee and englewood around 705 pm edt. riverdale, and central park around 710 pm edt. yonkers, and the rfk bridge around 715 pm edt. east tremont, and laguardia airport around 720 pm edt. the throgs neck bridge and flushing around 725 pm edt. bayside around 730 pm edt. 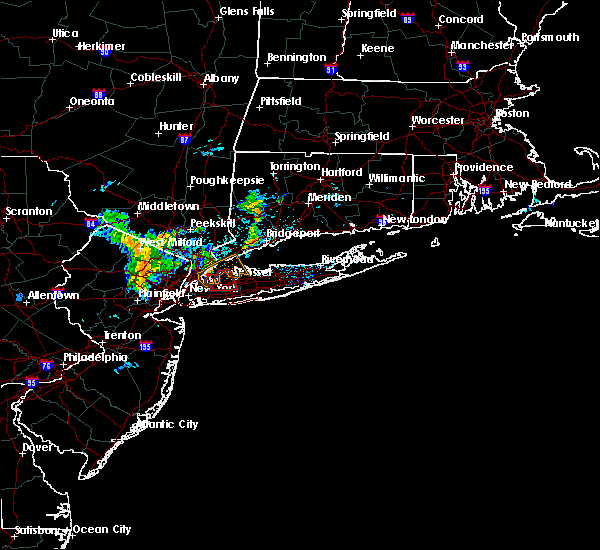 Great neck around 735 pm edt. 7/25/2016 4:37 PM EDT At 436 pm edt, a severe thunderstorm was located over jamaica, moving east at 35 mph (radar indicated). Hazards include 60 mph wind gusts and quarter size hail. Hail damage to vehicles is expected. expect wind damage to roofs, siding, and trees. Locations impacted include, freeport, valley stream, garden city, lynbrook, mineola, westbury, farmingdale, levittown, kennedy airport, woodmere, flushing, massapequa, jamaica, hempstead, cedarhurst, baldwin, ozone park, wantagh, lido beach and clearview expressway. 7/25/2016 4:27 PM EDT At 427 pm edt, a severe thunderstorm was located over jackson heights, or over flushing, moving east at 35 mph (radar indicated). Hazards include 60 mph wind gusts and penny size hail. Expect damage to roofs. siding. and trees. this severe thunderstorm will be near, throgs neck bridge, whitestone and ozone park around 430 pm edt. great neck, jamaica, clearview expressway, bayside and howard beach around 435 pm edt. 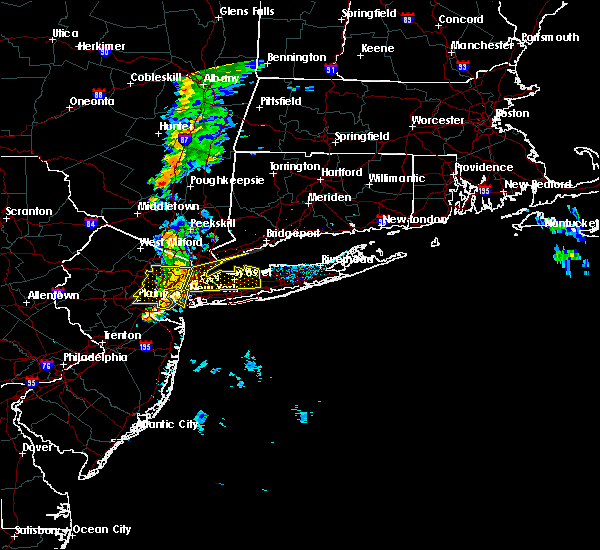 kennedy airport, little neck and manhasset around 440 pm edt. 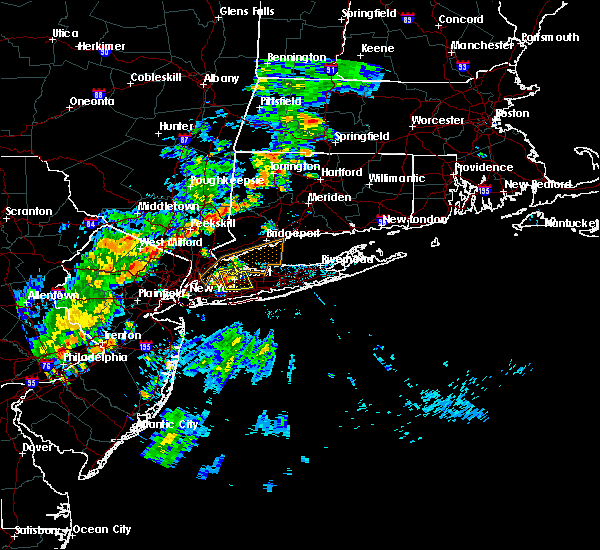 valley stream, garden city, lynbrook, mineola, woodmere, cedarhurst and elmont around 445 pm edt. westbury, hempstead and oceanside around 450 pm edt. freeport, baldwin, hicksville and lido beach around 455 pm edt. 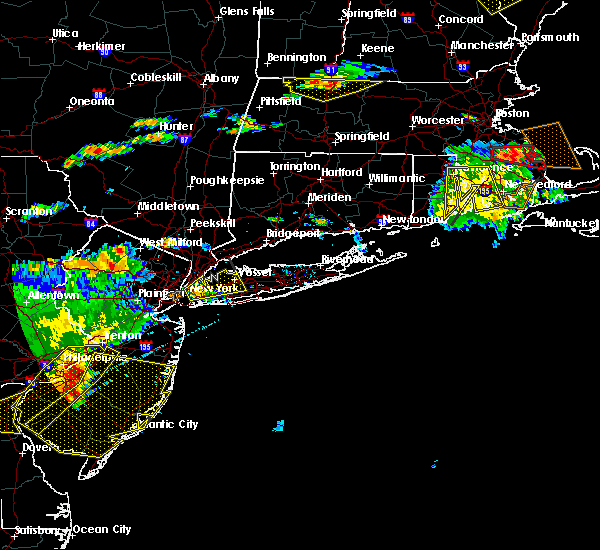 farmingdale, massapequa, levittown and wantagh around 500 pm edt. Other locations impacted by this severe thunderstorm include west hempstead, thomaston, bellerose, east rockaway, north wantagh, east williston, herricks, east meadow, bellmore and east massapequa. 7/14/2016 4:44 PM EDT At 443 pm edt, a severe thunderstorm was located over huntington station, moving east at 50 mph (radar indicated. at 358 pm...a tree fell on a car at branchbrook drive in newark nj). Hazards include 60 mph wind gusts. Expect damage to roofs. siding. and trees. Locations impacted include, new york, oyster bay, huntington, yonkers, stamford, new rochelle, glen cove, garden city, mineola, rye, westbury, great neck, northport, commack, syosset, midtown manhattan, east tremont, mott haven, flushing and huntington station. 7/14/2016 4:12 PM EDT At 410 pm edt, a severe thunderstorm was located over mott haven, moving east at 50 mph (radar indicated. at 345 pm a tree was reported down on north avenue in westfield nj). Hazards include 60 mph wind gusts. Expect damage to roofs. siding. And trees. 2/16/2016 2:47 PM EST At 246 pm est, doppler radar indicated a strong storm capable of producing damaging winds in excess of 60 mph. this storm was located over rockaway beach, and moving northeast at 45 mph. * this severe thunderstorm will be near, crown heights and canarsie around 250 pm est. kennedy airport, cedarhurst, howard beach and ozone park around 255 pm est. 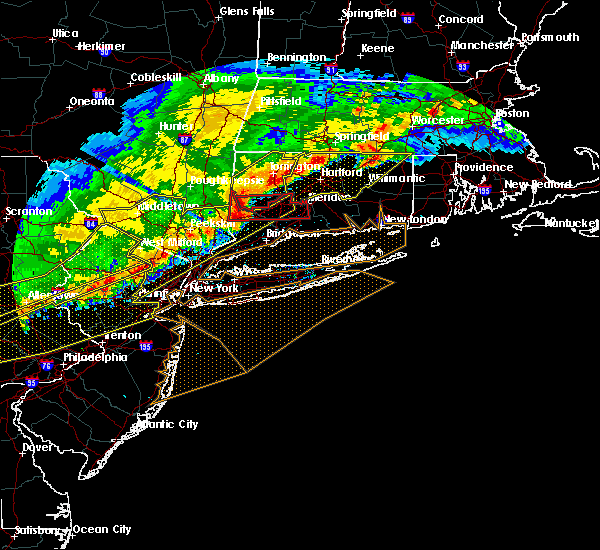 valley stream, lynbrook, jamaica, woodmere, flushing, forest hills and oceanside around 300 pm est. freeport, garden city, hempstead, baldwin, elmont, little neck and clearview expressway around 305 pm est. mineola, westbury, great neck, manhasset and port washington around 310 pm est. 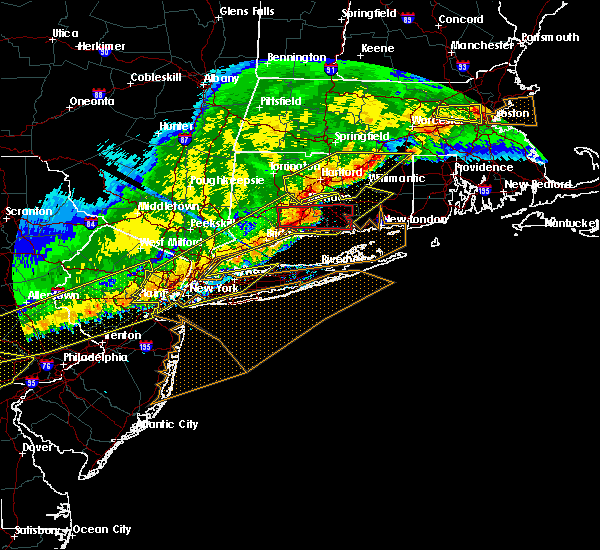 oyster bay, syosset, levittown, bayville, brookville and hicksville around 315 pm est. other locations impacted by this severe thunderstorm include west hempstead, thomaston, east hills, east rockaway, jericho, east williston, herricks, east meadow, hewlett and munsey park. 7/30/2015 3:20 PM EDT At 320 pm edt, doppler radar indicated a severe thunderstorm capable of producing damaging winds in excess of 60 mph. this storm was located over brookville, or near oyster bay, moving east at 25 mph. 7/30/2015 2:50 PM EDT At 250 pm edt, doppler radar indicated a line of severe thunderstorms capable of producing damaging winds in excess of 60 mph. these storms were located along a line extending from cardinal spellman hs to jamaica, and moving northeast at 35 mph. 6/23/2015 6:37 PM EDT At 637 pm edt, doppler radar indicated a severe thunderstorm capable of producing quarter size hail and destructive winds in excess of 70 mph. this storm was located over brookville, or near westbury, moving east at 35 mph. locations impacted include, oyster bay, glen cove, garden city, mineola, westbury, great neck, farmingdale, levittown, syosset, plainview, hempstead, woodbury, bayville, brookville, sands point, hicksville, manhasset, port washington, melville and elmont. 6/23/2015 6:19 PM EDT At 618 pm edt, doppler radar indicated a severe thunderstorm capable of producing damaging winds in excess of 60 mph. this storm was located over flushing, moving east at 35 mph. nickel size hail may also accompany the damaging winds. locations impacted include, oyster bay, valley stream, glen cove, garden city, mineola, westbury, great neck, farmingdale, levittown, kennedy airport, syosset, flushing, plainview, laguardia airport, jamaica, hempstead, woodbury, bayville, brookville and sands point. 6/23/2015 5:58 PM EDT At 557 pm edt, doppler radar indicated a severe thunderstorm capable of producing damaging winds in excess of 60 mph. this storm was located over jersey city, and moving east at 35 mph. nickel size hail may also accompany the damaging winds. 4/22/2015 3:57 PM EDT At 357 pm edt, doppler radar indicated a line of severe thunderstorms capable of producing damaging winds in excess of 60 mph. 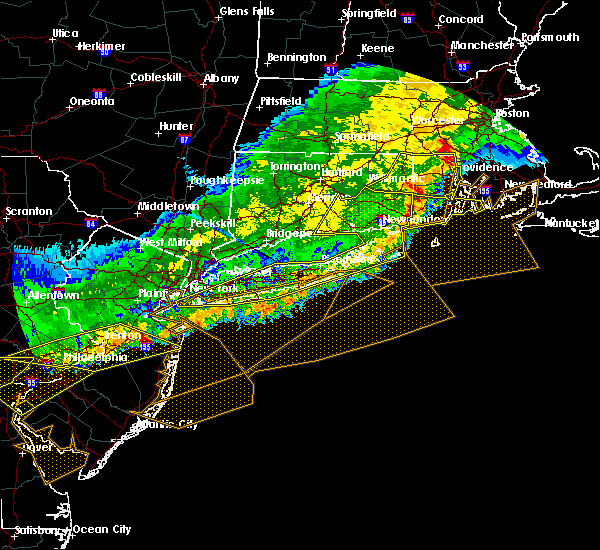 these storms were located along a line extending from forest hills to near sandy hook, and moving east at 35 mph. penny size hail may also accompany the damaging winds.